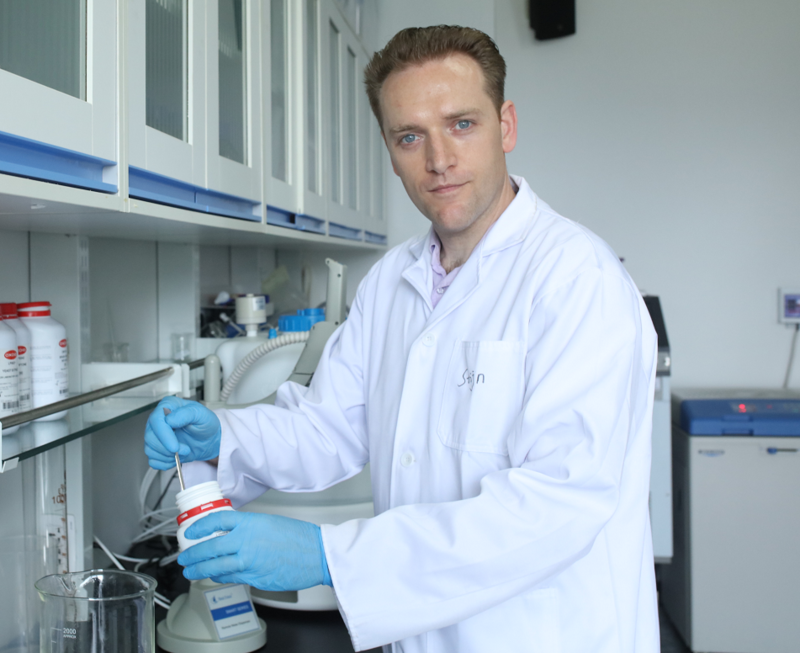 Prof. Stijn van der Veen is Professor of Microbiology at Zhejiang University's School of Medicine and Assistant Dean at the School of Basic Medical Sciences, where he is responsible for foreign affairs and international recruitment. He obtained his PhD at Wageningen University (Netherlands) in 2008 and spent several more years there as postdoctoral researcher and lecturer. In 2011, he moved to the UK where he became Research Associate at the University of Oxford. He joined Zhejiang University in June 2014 and he was elected to “The Recruitment Program of Global Experts” of Zhejiang Province in 2015. Since then, he has received awards for excellent teaching and obtained both national and provincial level research funding to support his research program. Furthermore, he has successfully published his research in over 30 international high-level research journals. Why did you choose to work in China? China is one of the fastest developing research countries in the world and its research output is truly booming. Although some years back this was primarily visible in research quantity, in recent years the quality has also caught up and now China has become one of the global dominant players in innovative research. This rapid development is explained by China’s soaring R&D spending and China’s leadership has pledged increasing funding for science and technology in the years ahead. This is all driven in a push to transform China into an innovative research and service-based economy. Therefore, China has become an excellent country to develop your research career, since, in contrast to many Western countries, research funding is still readily available to support university-based research groups. Also, China is steadily opening up and actively changes its policies to support the influx of an international research community. Most of China’s top Universities are continuously recruiting new high-quality faculty members and postdoctoral researchers and provide good start-up packages and financial support. To me, this was very attractive and sounded like an excellent career opportunity to start and develop my independent research group. What attracted you to Zhejiang University? When I decided that China was going to be my next career move, I went on to compare all the high-level universities in China and their locations. There is still a wide diversity in the quality of the different Chinese universities, but quite a number of Chinese universities have already entered the Top 200 of the different global university ranking systems. Therefore, these already offer a variety of choices for high-quality Chinese universities. After my comparison, I figured that Zhejiang University has been particularly successful over the years in obtaining research funding and in scientific output. Furthermore, Hangzhou is one of the most beautiful cities of China and offers a pleasant living condition. Therefore, in my view, Zhejiang University was the perfect combination of top university and liveable city. 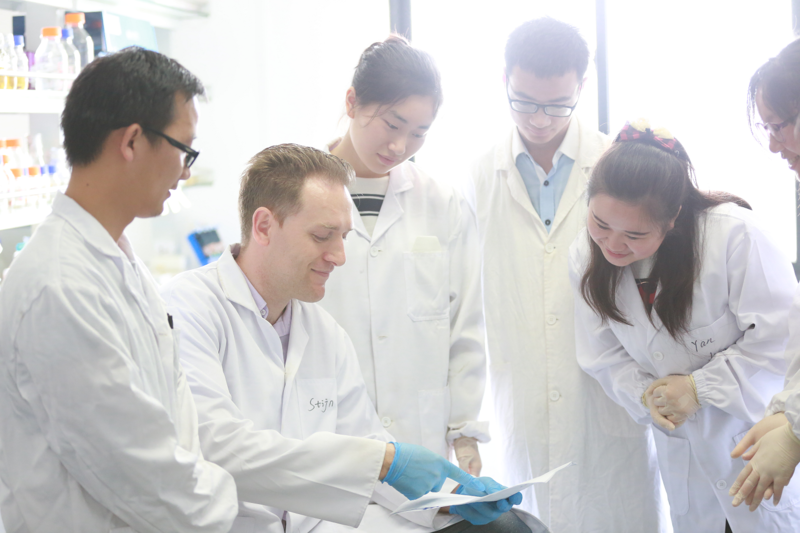 Also, in recent years the Zhejiang University School of Medicine has attracted many new young talents from top universities abroad, making it a very dynamic place with excellent research according to standards seen at other global top universities. Since many of the faculty has spent years overseas, they all speak good English, which I thought would make my integration much easier. How did you prepare for the move? The first thing I did was look up all the procedures and documents required for the visa and residence permit applications for me and my family and made a realistic schedule to ensure that time-wise everything would fit according to my planned departure. This was slightly complicated since I was living at the time in England and some of the required documents needed to be issued in my home country, which is the Netherlands. Since I was applying for a visa in England, these documents required legalisation procedures, which took some time. Also, I was moving all my furniture, so I needed to go through all the moving and customs procedures. Luckily, international moving companies can help with that, but it was important to be aware of the import taxes, since for some items they are high enough that it was not worth moving them. What is good at Zhejiang University and many other Chinese universities is that they generally have both unfurnished and fully furnished apartments available for staff to rent for shorter or longer periods, so I did not have to worry about finding a place to live in China. This was very convenient because after my arrival I could immediately move in and wait for my own furniture to arrive before moving to an unfurnished place. Overall I think that moving went rather smoothly without any unexpected difficulties. What was it like in the first few days/weeks? The first days were quite hectic and confusing for me with all the different procedures that I had to go through. I had to start all the paperwork for my residence permit application, registering at various Zhejiang University offices, the local police, and many more offices. This was still mostly done by paper, so the same or similar details needed to be filled in over and over and, most importantly, paperwork needed to be stamped with official red stamps. Luckily, I was helped by an administration assistant who had a detailed description of all the required procedures and the order in which to go through them! After the first hectic days, I had time to meet all my new colleagues and since I was the first faculty member of non-Chinese origin at our School of Medicine, everybody was helpful in making me aware of how things run in China. This was very useful in helping me jumpstart on all the organisation required for starting a new lab. A major difference between China and Western countries is that here there are many small scale local suppliers that represent both Chinese and international brands for laboratory equipment. When you need them, they come almost immediately to discuss what you need and they are very helpful in sorting through all the different equipment that is available. They even help you with different types of university procedures and paperwork required for ordering equipment. How do you find the Higher Education sector in China? The Chinese higher education sector is big, which might not be surprising given the size of the Chinese population. What's more surprising is that it is also very dynamic and actively evolving to improve the quality and chances offered to students. Most of the well-established universities offer a whole scale of international exchange opportunities to stimulate students to experience other cultures and educational systems. This fits well within the government stimulated push for internationalisation in the higher education sector. For example, last year our university opened up an international campus where joint institutes are built that are a collaboration between our university and other world-renowned overseas universities. These joint institutes will offer students joint or double degree programs fully taught in English by faculties from both universities. Also, many universities run various kinds of pilot programs to test educational improvements. Obviously, Zhejiang University is at the forefront of all of these developments but the amount of top universities in China is still relatively small, and resources are not equally divided. Therefore, the available student positions at Chinese top universities are very much limited and based on allocated quota. Competition among prospective students to get into these top universities and benefit from all of these developments is high and only the very best succeed. The current developments that the Chinese higher education sector is going through are very exciting and I am proud to be a part of them and make my contributions. I see it as a privilege to be involved in the education of all of those young bright minds and help them find their path in life. How does Chinese university teaching differ from Europe? Overall, I believe that the differences between university education in China and Europe are fairly limited. Similar to Europe, teaching ranges from large-scale lectures to practical courses to small-scale seminars or tutorials and is dependent on the type of student or course and the size of the student or teaching group. For every course I am involved with, we have yearly meetings to evaluate students’ comments and discuss possibilities for improvement. One major difference between China and some European countries is that teaching of the international and Chinese students is generally separated through different courses and programs. While international student courses and programs are fully taught in English, Chinese student courses and programs are still mostly taught in Chinese. Lectures to Chinese students are generally only in English when foreign teachers are involved. I teach both international and Chinese students at our university and fortunately, my experience so far is that the English level of most of our Chinese students is sufficiently good that they have little problem with my English lecturing. How do the research activities differ from Europe? Research activities are mostly the same. To perform good research, you have to think of good research questions, do good experiments, teach your students how to do good experiments and obtain sufficient research funding. Luckily, research funding opportunities in China are readily available from a wide range of national and provincial-level funding bodies. However, there are some important differences between Chinese and Western grant applications. The Chinese writing style for grants is very different and follows a strict format, which I had to learn in the beginning. What is the social life like? That is completely dependent on your interests and whether you have colleagues that you are more familiar with. Chinese cities are large and therefore offer a large scale of opportunities for various social activities and hobbies, which is a convenient way to meet with people sharing a similar interest. Also, most Chinese cities have districts that have some Western style bars where other foreigners are regularly found. A major difference between China and Western countries is the food culture. Chinese have their social gatherings in restaurants where they eat and drink together instead of going to a bar. For me, most of my friends here in China are also my colleagues and we regularly go out for dinner together. Also, my daughter goes to a regular Chinese school, so we have built up social relations with the parents of her friends and regularly have joined activities or picnics at the weekends. So, being a foreigner in China does not necessarily limit your social life. What do you enjoy most about your time in China? Work wise, the academic freedom to explore my own research interests in whatever direction I see fit and interesting (and where research funding can be obtained). Culturally, the food! I think the Chinese food culture is great and I really enjoy the wide variety and convenience of food that is available everywhere at any time. Do you face any particular challenges? Communication is still a major challenge for me. Although my Chinese listening skills are gradually improving, it is still not sufficient to catch a lot of the details. Also, my speaking skills are still very limited. Obviously, the ability to communicate with everybody is important for your work and your social interactions. Within the university, English is sufficient for me to speak with most of the other professors, but a lot of the administration staff are reluctant to speak English. And outside of the university, very few people speak English. Therefore, when you plan a move to China I would definitely recommend trying to learn Chinese as soon as possible. How has working overseas helped your career? In an academic environment, an international working experience is essential. For me, working for several years at the University of Oxford was an important first step. But moving to China resulted in a major career leap. Also, in China, it is still possible to develop your research group very quickly and build up a considerable research portfolio. So for me, moving to China has definitely been an important move in the development of my career. Have you got any advice for other academics planning to work in China? The general recruiting conditions for both faculty members and postdocs are nowadays quite good in China. So it is up to you to make a thorough comparison between the different universities, schools and departments to make sure that you will be employed under the best conditions and get the best support to develop your career in China. Also, there are numerous national and provincial-level talent programs for the recruitment of international faculty and postdocs. Some of these programs can be very rewarding and would definitely make your life much easier. So, when you select your next career move, it can pay off when you include possibilities for support of specific talent program applications. What are the top three reasons to choose to work in Zhejiang University? Zhejiang University is one of the best universities in China and a global, top university. It offers high-level education and is well-established for its high-quality research. Zhejiang University offers excellent start-up packages for new faculty members to establish their research groups and good employment conditions for both faculty staff and postdocs. Furthermore, due to its excellent supporting systems, Zhejiang University is the most successful university in China in obtaining a wide variety of research grants. Zhejiang University is located in Hangzhou, which is a beautiful city that offers pleasant living conditions. This is particularly important when you are considering moving your family as well. Click on the link to view the current vacancies in the field of Biological Sciences.